PRESERVING WHATS BEST - This package contains four Le Parfait glass preserving jars with NEW Stainless Steel wire, presented elegantly within environmentally friendly, compostable packaging. Le Parfait has been dedicated to preserving your healthy lifestyle needs - and the world around us - since 1930. PRESERVE, STORE, SERVE, DÉCOR -– Utilize these brand new, versatile Le Parfait glass jars to preserve your seasonal harvest, revitalize your pantry storage and bulk-goods shopping, serve up a decadent homemade spread, or craft the perfect gifts for your loved ones. WELCOME TO PERFECTION –- Le Parfait’s superior function, design and beauty provide you an escape from “the same old” cracked glass, seal failures, rusty bands and industrial appearance. Be confident that Le Parfait’s wider openings, sturdier closing systems and French sophistication will last a lifetime. JOIN THE COMMUNITY –- Within the Le Parfait family, you are included with award-winning professional chefs, national culinary institutions and charitable food organizers who trust Le Parfait’s dependability and durability within the finest gourmet establishments around the world. 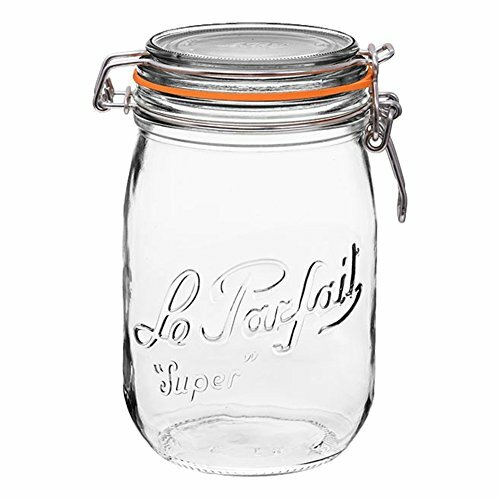 Le Parfait glass preserving jars are popular because they are made with all-natural materials, are easy to use, save you time in your daily schedule, offer a large range of various sizes and styles, are simple to clean, and the global website supports you with engaging resources.